Reed Hastings and Marc Randolph set up the company in 1997 in Scotts Valley, California. It is an Over-The-Top (OTT) video service provider which has subscription-based streaming service as its main business. It also offers a selection of films and TV programs most of which are produced in-house. Netflix now exists in more than 190 countries with over 93 million subscribers and is thus the world’s foremost provider of on-demand video, movie streaming, and TV series. Since 2016 Netflix has ceased dividing its members by geography and has begun managing its 93 million subscribers as a unified audience with matching movie and TV show choices. Netflix has used such groups which the brand refers to as “taste doppelgangers” which means people across boundaries having a similar choice for TV show genres.Netflix uses separate targeting strategy in order to escalate its loyal customers through its subscription-based model.Set up as a subscription-based video on demand plan which is available from anywhere anytime on mobile/Tablets or on TV. In 2018 Netflix got $16 billion in annual revenue, up 35% year-over-year. It grew its net income to $1.2 billion last year, which was double what it was in 2017. Approximately 139 million users pay between $8 and $16 to Netflix to stream TV shows, documentaries, and films every single month. In the U.S., which is Netflix’s biggest market, aprojected 54% of homes now have the streaming service. Last year, Netflix accounted for 10% of all overall screen time in United States, which adds up to 100 million hours of television per day. In 2018, the company spent around $12 billion on content, up from $9 billion a year ago. In 2019, the company is aiming a content spend of $15 billion. In 2018, Netflix had a free cash flow of negative $3 billion. And they plan to burn through an additional $4 billion next year. The company is stacking on debt to develop its content library of originals. The plan is to balance that expenditure over a period of time as the collection becomes so enormous that even the most ardent binge-watchers can’t go through it all. It’s a daring strategy and so far it’s functioning. Based on the lessons Netflix learned in 2018, the company is expected to continue to invest deeply in general title marketing. Netflix will continue working to get sizable quantity of its subscribers to watch the same thing at about the same time to trigger discussion around its titles. Netflix is certain that the effective press it gets about its successes at award shows is worth the marketing expenditure. This sets the company on the same position as legacy content producers like HBO. 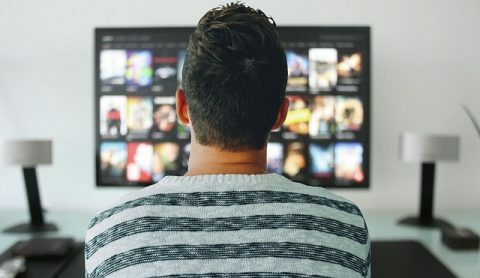 Exponential Growth – In the past ten years, Netflix has become an influential brand for online streaming content not only in the US but across the world. Customer Base – Netflix is serving over 190 countries across the world, having a global customer base. There are over 137 million subscribers of Netflix, and it gives the company a solid negotiating control with the studios for acquiring exclusive content. Originality – Another one of its strength is that Netflix has been producing original content over the years with the highest quality. Netflix has its subscriber based in Canada, India, US, Australia, South Africa etc. and its content is created on the region it functions. The quality that Netflix has been generating is original. Flexibility – Netflix adapted to various technologies instantly by providing streaming on all internet-connected devices like personal computers, iPads, mobile devices, and televisions. Reasonable Pricing – The pricing strategy of Netflix has given it leverage over its competitors. The plans that Netflix has designed are affordable and offer great value. Subscribers can watch wider selection of movies, either on DVD or streaming for an affordable price. Operational Costs – The original content produced by Netflix gives it a competitive advantage, but the cost of supporting this content keeps growing. The amount has surpassed from the last year’s spending. Copyrights – Netflix does not own most of its original programming, and this disturbs the company adversely. Generally, the rights taken from other studios are only for a year. After expiration, that content becomes visible on other sites. Accumulative Debt – Netflix is serving its diversified content in many countries around the world which requires huge amounts of money. It reported $ 34 billion in long-term debt in the third quarter of 2018. Having a debt of such size is the biggest weaknesses for the company and it should look out to clear it out at the earliest. Nonexistence Green Energy policy– Netflix has still not utilized renewable energy and hasn’t created a business model to promote environmental sustainability. The absence of green energy application has a damaging impression on the brand image of Netflix. Increase Customer Base – With such a vast content library, Netflix can target many other countries and expand its services and subscribers. However, it is still unavailable in countries like China, Crimea, North Korea, and Syria due foreign policies. Refresh Content library – It can expand its content licensing by increasing the contracts with various movie distributors. Coalitions – It can also form solid partnerships with various telecom providers and offer bundle packages in different countries. Niche Marketing – Producing region-specific content in their local languages is also another huge prospect for Netflix. Niche marketing has been valuable and constructive for Netflix. Competition– Netflix is not the only one which provides digital streaming around the world. Its competitor base keeps increasing every year. HBO, Amazon, Hulu, AT&T, and YouTube are competing continuously with Netflix by providing repeated original quality content to its subscribers. Facebook may be the new player that is trying to enter in this segment. Government Policies – Strict governmental rules and regulations regarding service providers like Netflix in many countries including China can be a big threat for them. Digital Piracy – Digital piracy is still high as many people find different methods of downloading media content as they cannot afford high monthly costs.